Founded in 1955 in Fargo, North Dakota, third generation family-owned Butler Machinery serves North Dakota and South Dakota, along with Clay County, Minnesota. 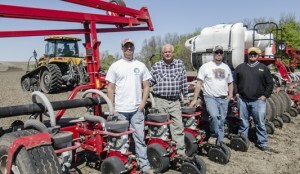 Butler Ag Equipment, a division of Butler Machinery, provides quality ag products for Nebraska. By offering the very best in sales, rental, parts and services, Butler is committed to putting the needs of our customers first. We work as a team every day to provide the accountability, integrity and excellence that have been foundational to our success. We’re also dedicated to forging long-term relationships with our customers by helping them find the most affordable equipment and ongoing dealer support to help them grow their businesses. Butler Machinery is proud to offer products and services to support a variety of industries, including construction, agriculture, governmental, demolition and scrap handling, mining, landscaping, power generation and on-highway trucking. We represent many manufactures including: AGCO, Caterpillar, Drago, Horsch, Killbros, Balzer, Sullair, Metso, Mesaba, and Trail King. Butler Machinery takes pride in being your one-stop-shop for heavy construction and agricultural equipment sales and related services. With a huge selection of new Cat heavy equipment for sale, as well as a comprehensive inventory of high-quality used machines, we’re able to work with you to identify the solutions that most efficiently meet your needs. And with our unique approach to customer care and legendary product services, you can take comfort in the fact that every machine that rolls off our lot will last and perform. Butler Machinery answers the call for businesses that rely on heavy equipment rental to maximize production and operating efficiency. We offer top-quality allied equipment for rent on a daily, weekly or monthly basis. Whether you require equipment to accommodate a temporary spike in demand or need a reliable replacement for a down machine, you’ll get the well-maintained heavy construction rentals you need. Experience the difference of working with a family-owned business dedicated to providing the very best in new and used sales, rentals, parts and services. Contact Butler Machinery today, and learn how we can help your business reach its full potential.  To build long term relationships with our customers, founded on trust, generating mutual growth and success.